The people who work at Silver Hill Hospital are passionate about educating the community and engaging in prevention efforts in surrounding towns like Darien. We are proud members of the Thriving Youth Task Force and also provide programs on substance use and mental health in conjunction with the Darien Depot, the Darien YWCA Parent Awareness Program, the Darien Library, and the Darien Health Department. Most recently we have participated in the new Board of Education Substance Use Program at Darien High School. We are honored to partner with these agencies in Darien, a community that clearly cares about its youth. One particular myth which the Our Darien campaign is working to dispel is that teens should be taught “responsible drinking.” While parents who try this may be motivated out of a desire to protect kids from excessive or problematic drinking later on, there is much evidence showing that both early drinking and permissiveness from parents leads to trouble. This is your teenage brain on alcohol. For instance, the earlier kids start drinking, the more likely they are to experience alcohol-related injury and alcohol dependence later in life. 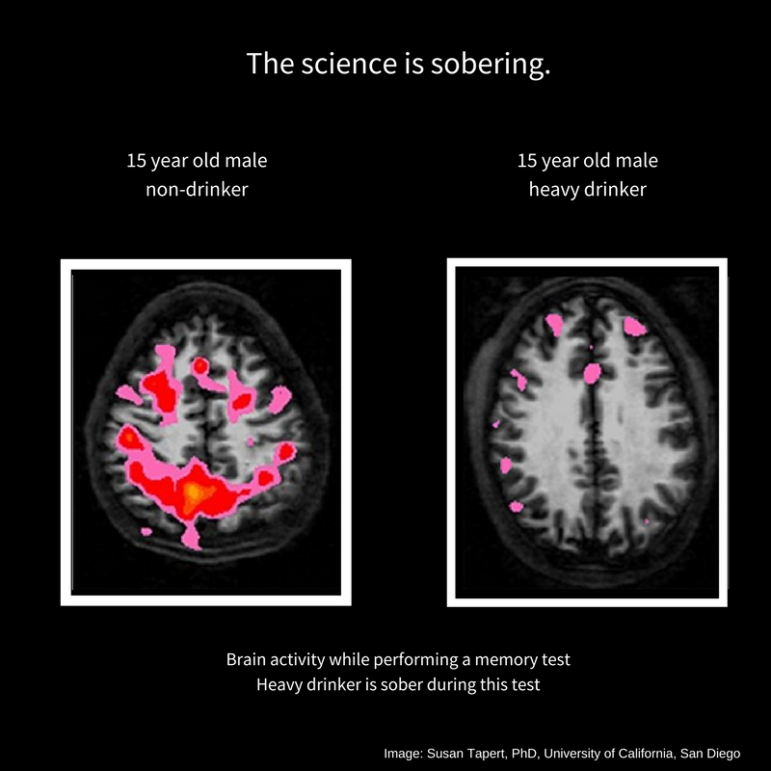 It’s important to remember that alcohol affects developing brains differently than adult brains and that kids are extremely responsive to the examples and limits that are set for them. At Silver Hill Hospital we provide both mental health and addiction treatment across the lifespan through our inpatient, residential and outpatient services. We see firsthand how so many of the adults who come to us suffering with substance use disorders started drinking and using drugs in high school. The “Our Darien” campaign will be giving parents and teens the scientific facts needed to make healthy decisions and it will foster the important conversations and dialogue (both in families and in the community) that are, ultimately, the best prevention. We are excited to join with the Darien community to promote the health and well-being of its citizens and are confident that the “Our Darien” campaign is a vital piece of that effort.